Select a date and the sunrise widget will display that day's sunrise time. 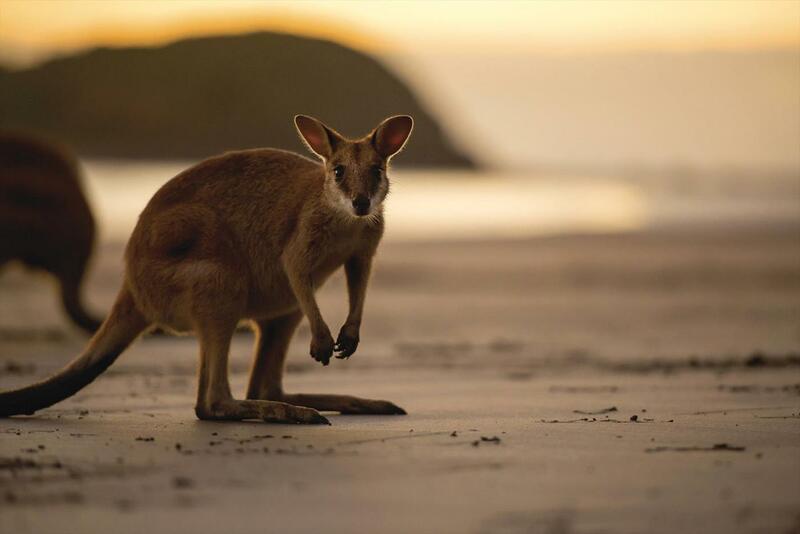 NOTE: Wallaby Tours start 30 mins before sunrise. 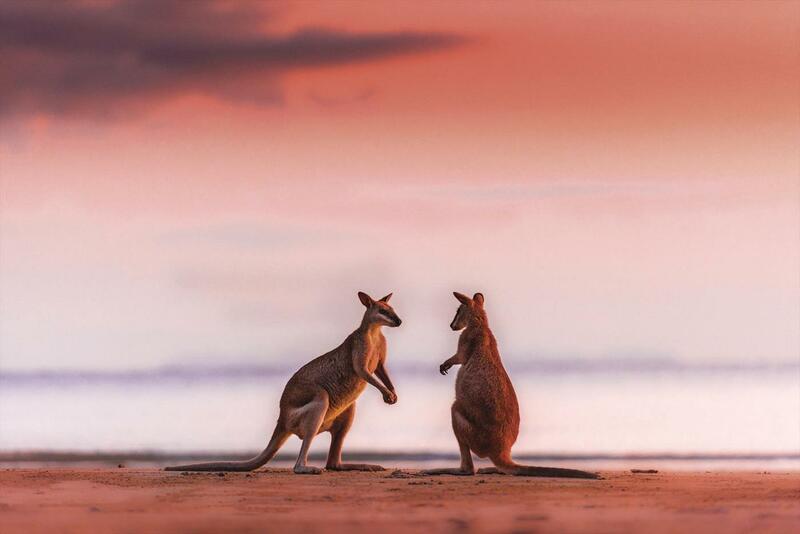 Sunrise with Wallabies Tour is one of Australia's iconic wildlife experiences, where Eastern Grey Kangaroos and Agile Wallabies come onto the beach to feed on mangrove seed pods. 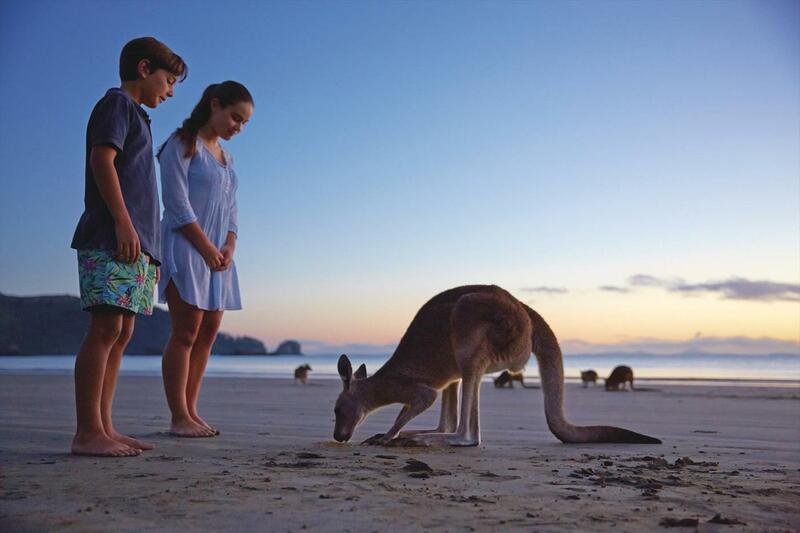 Nowhere else in the wild will you get so close to Kangaroos and Wallabies. 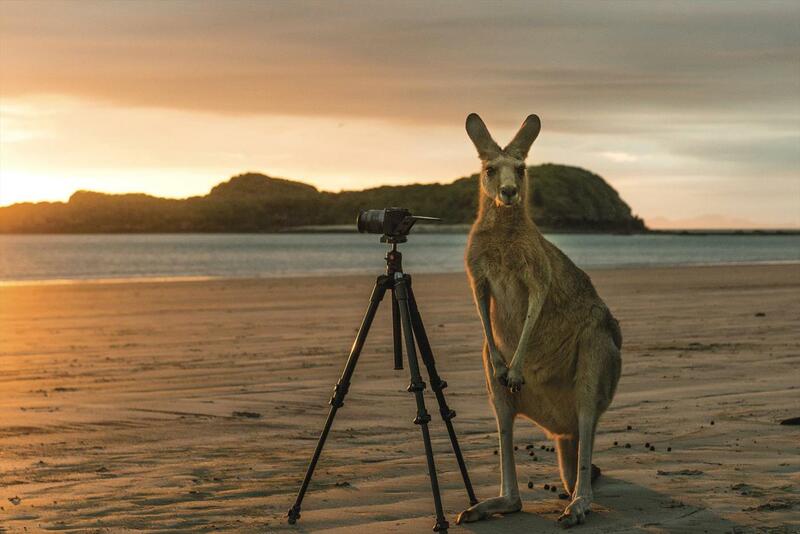 Such a wonderful opportunity to capture a magical moment of sunrise on the beach with our national symbol, and reflect on our role in looking after Australia natural beauty. Now with our own Ranger- Ranger Sam, you can be kitted with headsets (or bring your own) and while you are taken on an exciting and educational journey - everything to do with these precious Australian icons. Tours meet at the entrance to Cape Hillsborough Nature Tourist Park (signage available) located in Cape Hillsborough, 20 kilometres north of Mackay CBD, where Ranger Sam greets and proceeds with the tour. Please note that this is a self-drive experience, but if driving is not your thing - bus tours are available. Please contact our bookings team if you need information such as rental cars, or campervan companies to get to this amazing world-class experience started. Can I stay out there? Absolutely! 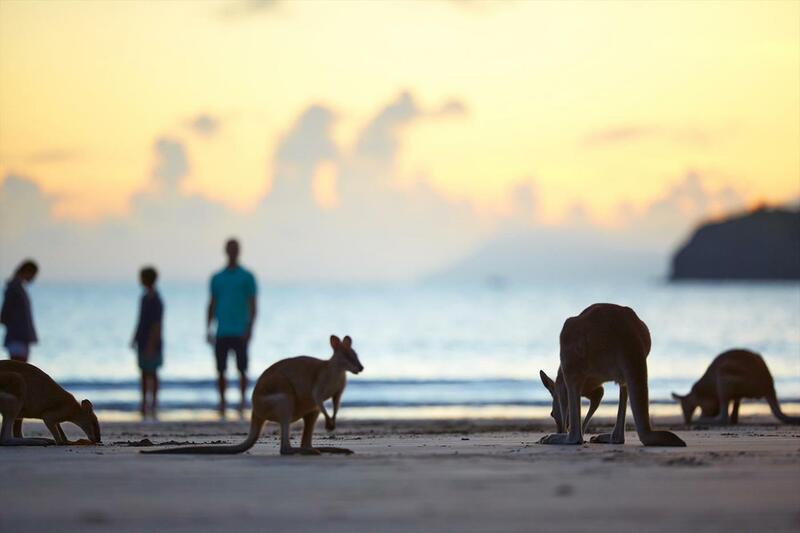 We are so lucky to be situated on the doorsteps of the beautiful Cape Hillsborough Nature Tourist Park, offering Powered and Unpowered sites, Villas and much more. Please select your desired date and number of tickets below. Family tickets are for two adults and two children. 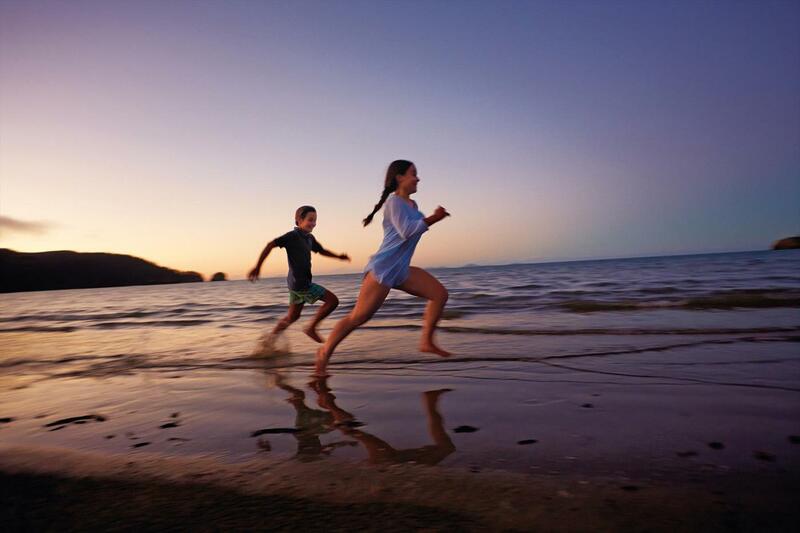 Note: Age of children for this tour is 4 – 14years old inclusive.